This steel cuff bracelet is both feminine and fierce. 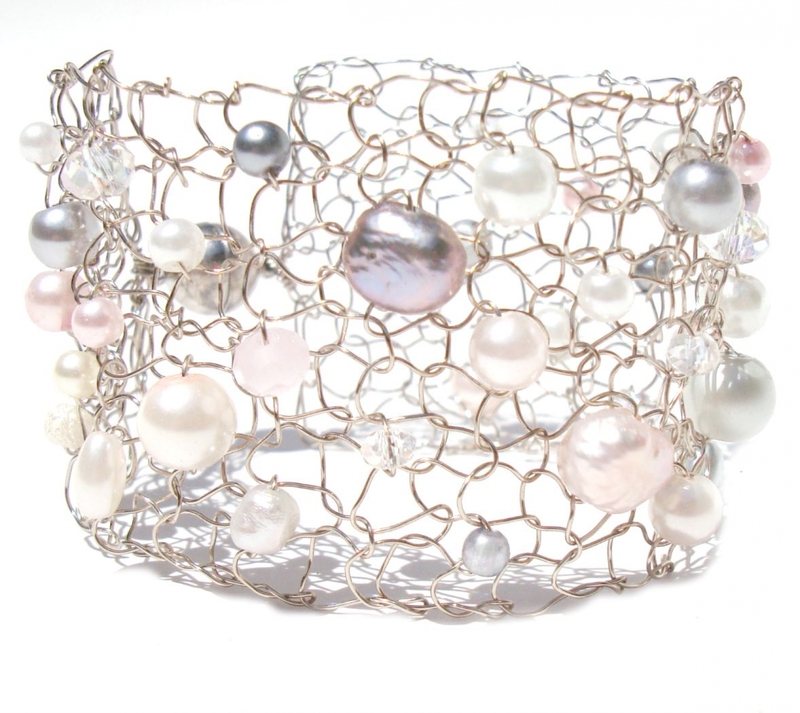 The fine titanium wire is hand knit with shades of blush pink, white and grey. It is adorned with pearls, crystals and semiprcious stones. It can be worn casually or totally dressed up! So versatile and completely unique as no two ever knit up the exact same! The cuff measures about 1 1/2" in width and will be knit to the specified wrist length. The pictures also show one of my rings (white pearl silver ring) in the photo - but this listing is for the cuff only.